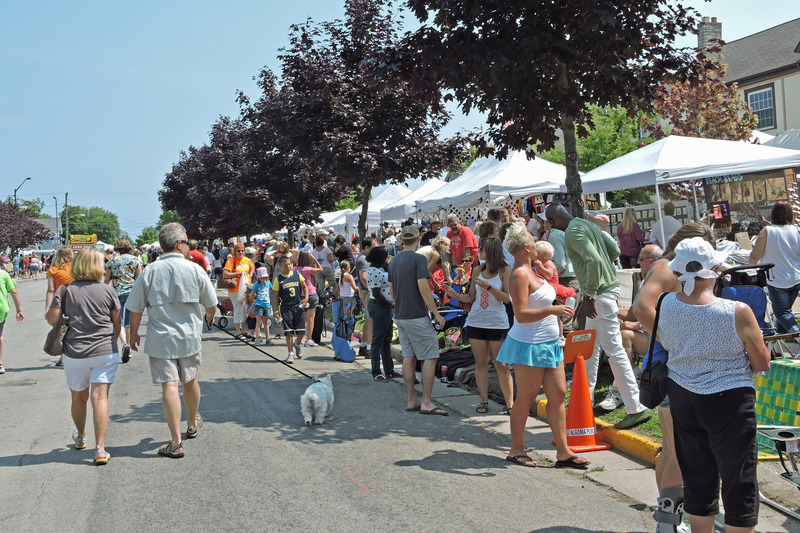 The Juried Arts and Crafts Fair is located on the lawns of the Algoma Public Library and Algoma Elementary School (corner of Fremont and 4th Streets). Fremont St. is closed off for two blocks west of 4th Street (Route 42) for leisurely browsing of all the wonderful items available for sale. The Street Fair is located across 4th Street from the Arts and Crafts Fair on Fremont where you will be able to peruse stands selling everything from spices to t-shirts. Fremont St. east to 2nd St. (County S) toward the Main Grounds is also closed for your convenience. Parking is free throughout town and all the venues are within walking distance of each other. Please observe parking zone and traffic rules. There will be a lot of pedestrians in the area. Law enforcement will be directing traffic at peak times. Exhibit Requirements: Your original fine arts and crafts work only. Signs must be artistically and/ or neatly lettered. Exhibitors must supply their own display equipment. Exhibit size is 10’x10’. Entry fee: $100 per space. Fee is non-refundable. Suggestions: Demonstrations of your artwork are a great draw and are highly encouraged. Also, lake and harbor themes would be extra appropriate for this show. To Enter: Please submit this form then mail your check payable to “Algoma Chamber of Commerce” (no post-dated checks). Deadline: June 30th or until show is full to ensure consideration for acceptance. Entries for the Arts and Crafts show will be accepted on a first come basis. Questions may be directed to: Sara Krouse, Executive Director, Algoma Area Chamber of Commerce, sara@algomachamber.org.